With the change of season, I have started a new skin care line from Clarins and thought I would give you my thoughts on it. The Bright Plus range from Clarins have been designed for women who suffer from pigmentation problems, dark spots and a dull complexion. It comes in three products which are a serum, day lotion and a night cream. Each product has Sea Lily extracts, Alchemilla extracts and Vitamin C to reduce the production of over produced melanin and prevent hyper pigmentation. I do not suffer from hyper pigmentation but I do have uneven skin tone around my mouth area and a few temporary spots from pimples that have left slight marks on my skin. I can tell that these marks are not permanent but wanted to use this Clarins range to make those spots clear up faster. The serum comes in a 30 ml plastic tube with a pump. The formula is very creamy and luxurious. It melts beautifully into the skin leaving it feeling soft and pampered. The serum is quite moisturising and soothes the skin. I like to apply it to my face and neck area in light circular tapping motions. It has a pleasant clean floral scent to it as well. I have to say that this is my favourite product from the line. It definitely brightens my skin after the first application. Serums are much more concentrated than creams and absorb quicker and more effectively into your pores. Therefore I feel that this product would work best and be more successful in reducing dark spots and pigmentation problems. You could use this serum on it's own or with any other skin care product. If you really want to try something from this line this product is a big thumbs up for me. The lotion is a 50 ml plastic tube which comes with a pump as well. I am very surprised by the low SPF that this lotion has. You would think that Clarins would give this product a higher SPF since the range is trying to combat hyper pigmentation problems and reduce melanin production. Nevertheless it would be perfect to use everyday if you are constantly in an office or closed area where you won't be hit by the sun a lot. I prefer to use this in the autumn and winter months, since SPF 20 wouldn't be helpful during the summer in Cape Town. The consistency of the lotion is light yet quite hydrating. I use two pumps to cover my face. It is not greasy at all and looks great under makeup. It has the same properties as the serum except it has an SPF 20 and of cause because this is a lotion it takes longer to absorb into the pores. You would definitely want to use this lotion in conjunction with the serum if you want to experience faster results. The serum is definitely my favourite product of the line and coming in second is the day lotion. These products are super pricey so I would suggest getting samples of this range at your local Clarins counter to test them out first before you make a big purchase.Thank you so much for reading and I hope you found these reviews helpful. Much love! Aww keep us updated if the serum (and rrange helped for the spots you had?) I got a mole removed this week , and it will leave a little mark, so want to invest in a great serum that will help lighten it a bit. Great review Desle! 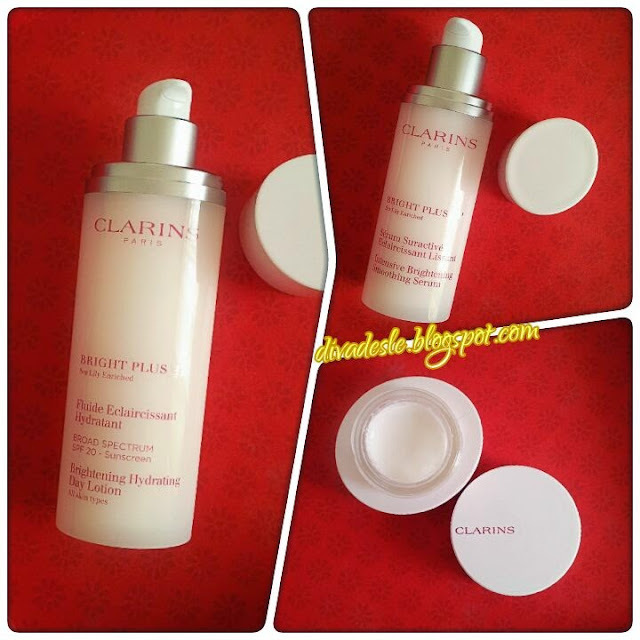 I tried a Clarins skincare set a couple of years ago. It was ok, but I didn't see any big differences. I kind of let it alone after that. HaHaHa Their products are pricey. Glad most of these worked for you. Keep at it! I hope you get even more results. 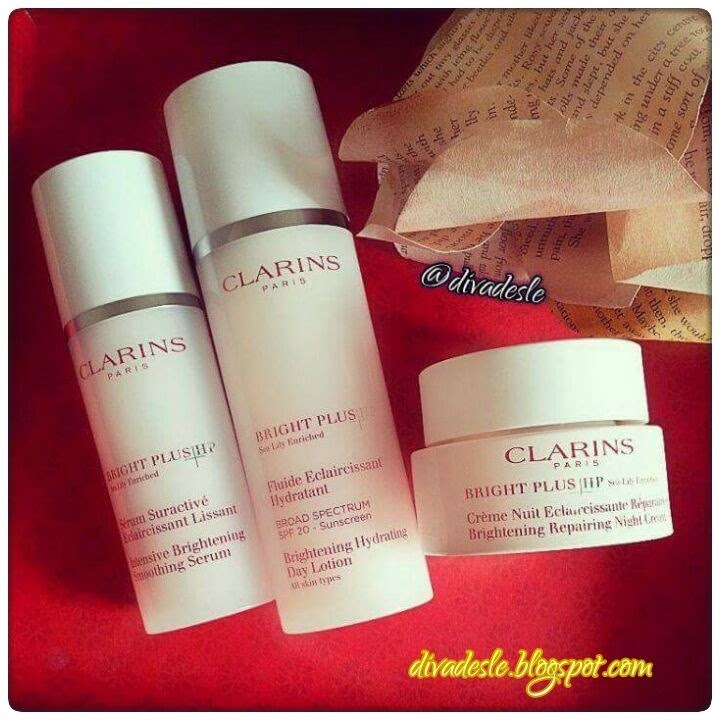 I love Clarins products. At the moment I am head over heels with their Blue Orchid oil. I may give the serum a try!